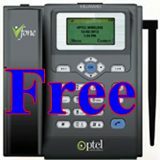 Today, PTCL has announced another wonderful offer of free Vfone set as Happy New Year Promotion Offer. Customers will get free Vfone set on purchase of every new connection. This is a bundle offer, you will get wireless set (value Rs. 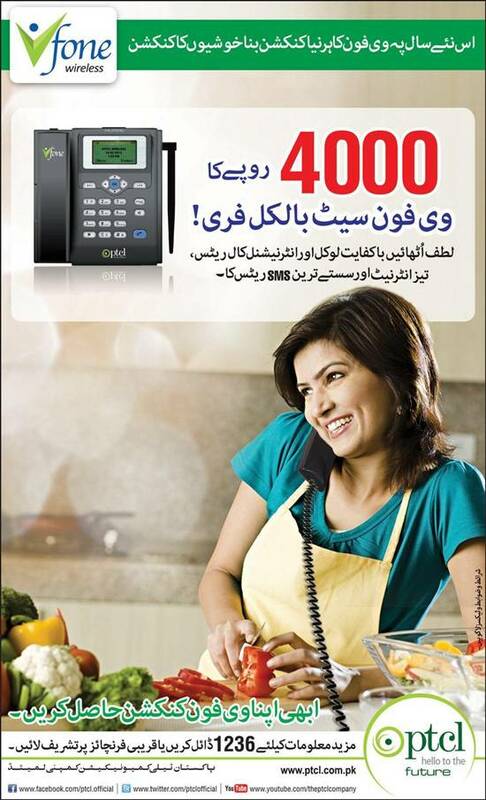 4000) and free balance of Rs.4000 in the price of just Rs.4000. You can purchase this bundle offer from any PTCL franchise, OSS or authorized dealer. Vfone is Pakistan's largest WLL service which has prepaid and postpaid options. Simple package has zero line rent. You can enjoy internet, nationwide and international calls and SMS at affordable rates. Vfone is an economical option for those people who want to have PTCL services without any monthly charges. In basic package, there are no fix charges or line rent, you will be charged only when you use Vfone. And it is also available in many rural areas where landline infrastructure is yet not available. Following are the key features of Vfone Happy New Year Promotion. Balance will be credited in customer's bonus account. Bonus account balance can be used for calls (local, mobile, international), SMS and internet. Validity of free balance is 60 days from the date of activation. In order to utilize free balance, you have to recharge your account, must have some balance in account. This offer is not available for VPCO. This offer is valid till availability of stocks. i want to get this set where i got?